These days, iBall is in a launch spree as the vendor is splashing the market with several smartphones and tablets in the affordable price bracket. Now, the vendor has come up with a new smartphone called iBall Andi 4P IPS GEM that is listed on the official website of the vendor and it is priced at Rs 6,499. 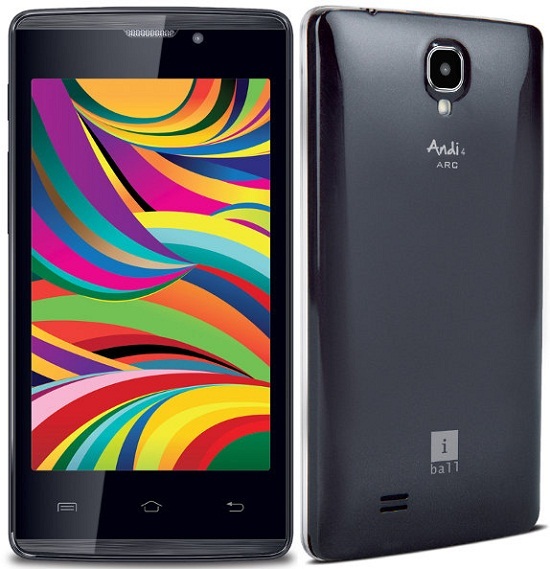 Along with this handset, the iBall Andi 4 ARC smartphone is listed on the official website and also on eBay for a pricing of Rs 3,143. Talking of the iBall Andi 4P IPS GEM, the handset fitted with a 4 inch IPS display that carries a WVGA screen resolution of 480×800 pixels that is standard in the entry level smartphone segment. Under its hood, the iBall offering equips a 1.3 GHz dual core processor that is teamed up with 1 GB of RAM. For imaging, the Andi 4P IPS GEM flaunts a 5 MP primary camera at its back alongside LED flash and a VGA front facer for making basic video calling sessions. The storage aspects of the smartphone include 4 GB of native storage space that can be extended externally by another 32 GB using a micro SD card. The connectivity aspects of the smartphone include 3G, Wi-Fi, Bluetooth 4.0, GPS and dual SIM functionality. 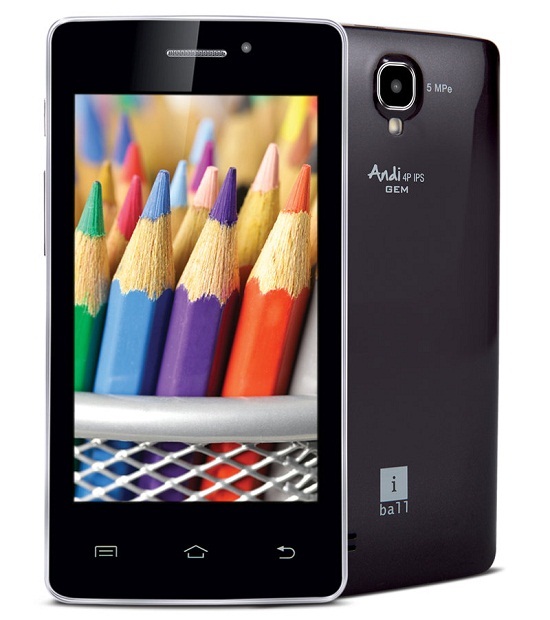 A 1,300 mAh battery powers the iBall Andi 4P IPS GEM that is based on Android 4.2.2 Jelly Bean and upgradeable to Android 4.4 KitKat. On the other hand, the iBall Andi4 ARC is also an entry level smartphone that is given a similar display as the iBall Andi 4P IPS GEM. Also, the handset is stuffed with a 1.3 GHz dual core processor paired with 256 MB of RAM and 2 GB of expandable native storage capacity. Other aspects of the device include a 2 MP primary camera with LED flash, a VGA front facer, 3G connectivity, dual SIM support and a 1,300 mAh battery. These iBall smartphones would definitely be suitable for those who are looking for entry level devices that are priced reasonably. The inclusion of 3G connectivity makes these smartphones the right ones for first time smartphone upgraders.